Evil doesn't always live next door. Sometimes it lives right in your own home. Eve Moran has always wanted "things," her powers of seduction impossible to resist for those who come in contact with her toxic allure. And over the course of her life, she has proven both inventive and tenacious in getting and keeping whatever such things catch her eye, whether they are jewelry, money, or men. Eve lies, steals, cheats, swindles, and is even willing to take a life, paying little heed to the cost of her actions on those who love her and depend on her. Her daughter, Christine, compelled by love, dependency, and circumstance, is caught up in her mother's deceptions, unwilling to accept the viciousness that runs in her family's blood. It's only when Christine's three-year old brother, Ryan, begins to prove useful to her mother, and Christine sees a horrific pattern repeating itself, that she finds the courage and means to bring an end to Eve's tyranny. 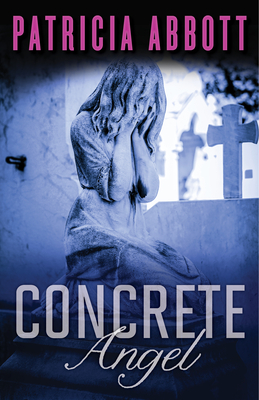 Concrete Angel centers around a family torn apart by a mother straight out of "Mommie Dearest," and her resilient young daughter who discovers that survival can mean fighting the closest evil imaginable. Patricia Abbott is the author of more than 100 stories in print, online, and in various anthologies, including Needle Mag, The Thrilling Detective, Plots With Guns, Spinetingler, and ThugLit. In 2009 she won a Derringer Award for her story My Hero. She is the author of two ebooks of stories: Monkey Justice and Home Invasion (through Snubnose Press). She is the coeditor of Discount Noir (Unteed Reads). She makes her home in Detroit.